– A thank you to everyone who expressed concern over the last two weeks for our team at Competitive Cyclist. At some points the tornadoes made it seem like the London blitz. We spent night after night huddled in the basement, air raid sirens blaring, a blackout in full effect. We had the good fortune to emerge mostly unscathed. I say mostly because one of our service techs — his name is Jeremy and perhaps he built your last bike — had his home guillotined by a tree as he crouched in a closet with his 4-year-old daughter. Thankfully they both emerged unscarred. Our governor has declared the entire state of Arkansas a disaster area. Based on what we’ve seen in the last few days, we don’t disagree. That being said, our losses here are minor compared to Alabama’s. A lifetime of SEC football makes it unusual for us to grieve for them, but oh how we do. Relative to the rest of America, the south is poor and unpopulated. Perhaps that explains why our lifeblood is family tradition and the sense that our neighbors — both close and distant — are family of a different but nevertheless precious kind. 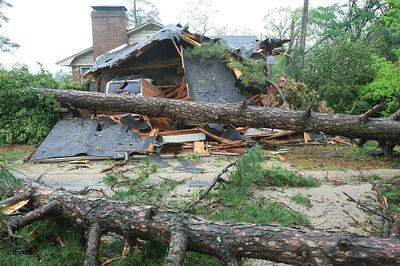 We have relatives in Daphne. We train in the wintertime motivated by thoughts of the NRC crit in Anniston. We love working with Scott USA, whose newly-minted National Sales Manager (and umpteen time Master’s National Road Champion) Terry Duran is from Birmingham. Alabamans spend as much time as Arkansans in the Louisiana-Mississippi race scene, so we bump bars with them all year long. As bike racers, as Southerners and as humans, our hearts are broken. Our best hope comes from our knowledge that suffering, but not breaking, long ago steeled this part of America. Alabama, tap into your deep well of resiliency. – Onto happier topics from a different sort of south: Spain, specifically Barcelona. Up to now, the wonderful Catalan city held two strong roadie associations for us: Its proximity to the road riding paradise of Girona, and the fact that in 2009 it was home to one of the most exciting Tour de France finishes in a decade. It’s upping its roadie game with what appears to be a dreamy bike shop/art gallery. If anyone visits Pavé and can send photos and a report upon its opening, that would be wonderful. – Last month when Johan Bruyneel led a walkout at a meeting with the UCI in Brussels the ostensible reason was the race radio ban. But it really was, of course, just the latest step in a long simmering dispute over how the pro side of cycling should be structured. Perhaps the only thing that’s obvious in all this is that pro cycling needs reform. Not only are riders at the mercy of short term contracts, their salaries lag far behind those of other professional sports and pensions remain nothing but a dream. Teams continue to struggle to find sponsors. Yet they are stuck with uncertainty over entry into the biggest events and are burdened with meeting most of the sport’s payroll. And organizers based outside of the cycling’s traditional home struggle to get prime spots — or any spot at all — on the international calendar. Right now, however, it’s difficult to declare whose side you should be on at least when it comes to choosing between the team owners and the UCI. Bruyneel and Jonathan Vaughters, who doubles as the head of the Association Internationale des Groupes Cyclistes Professionnels, generally make the rich claim that they need more control over how cycling operates not so much for themselves as for the benefit of their riders. The team owners certainly deserve a place at the table. But they don’t need to pretend that they represent anyone’s interests but their own. Really? Well let’s start with an organization cited by McQuaid himself after the meeting: FIFA. Britain’s Premier League, soccer’s most lucrative enterprise, certainly follows the FIFA’s rules for the playing field. But in all other matters it is a fiercely independent operation owned by its member teams. It’s somewhat like what the NFL would be if football, the American variety, was a global sport. Both the riders and the race organizers have been somewhat silent, at least in public, during the current cycling debate. But that’s about the end of their common connection. The cyclists’ reticence is not surprising given their comparative lack of power. Few riders have the sort of clout that would give them the freedom to challenge their current, former and perhaps future employers. The organizers’ silence is much more interesting. Various pacts and consolidations have left the Amaury Sport Organization , the Tour’s organizer, as the sport’s dominant organizer. For four years ending in 2008, ASO and the UCI waged a very public war with each other. Disputes about, among other things, the structure of the ProTour series and dope testing led to ASO pulling the sport’s most important races from the UCI’s calendar. Exactly what brought ASO and the UCI back together again has never been completely clear. But Jean-Etienne Amaury, the son of ASO’s founder, took over the operation at about the same time, the company’s dissident managers were sent packing and relations have apparently been cordial ever since then. The source of the Premier League’s fortunes, television rights, all flow to organizers. (Coincidentally, the buyer is Sky Television.) But in cycling, the sport’s biggest pot of money all goes to organizers. ASO and the rest of them are probably not inclined to share T.V. rights with the team owners and the riders. But they may need to rethink that position. That is, of course, unless they believe that a sport with an increasingly shaky financial base can remain a viable property in a fragmenting media market. But don’t expect to hear Pat McQuaid tell Jean-Etienne Amaury where his rightful place lies anytime soon.